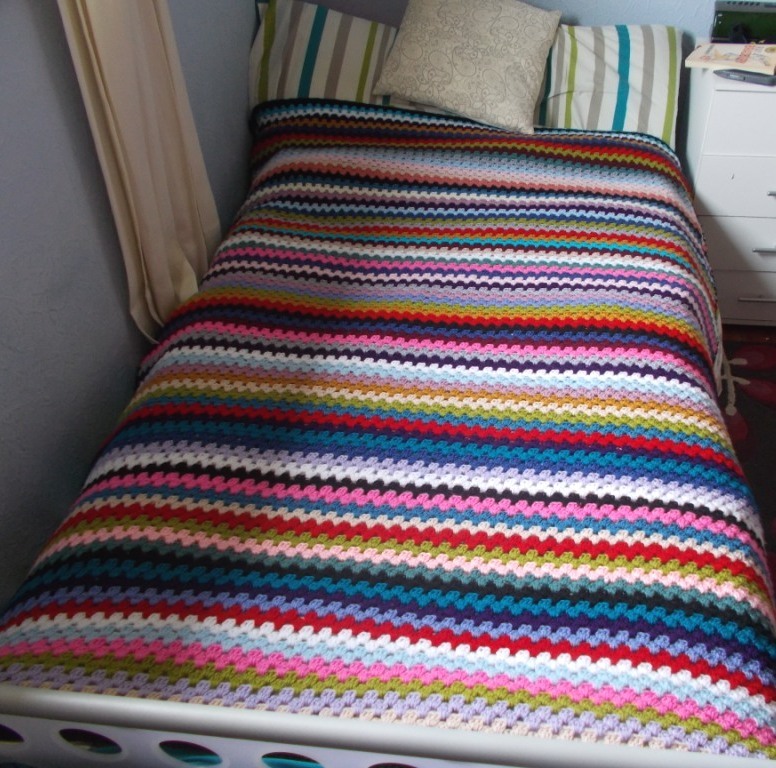 Granny Stripes Photo Diary – The End! I finished the last couple of stripes on Friday, then spent quite some time weaving in ends and working on the border, and got this done. 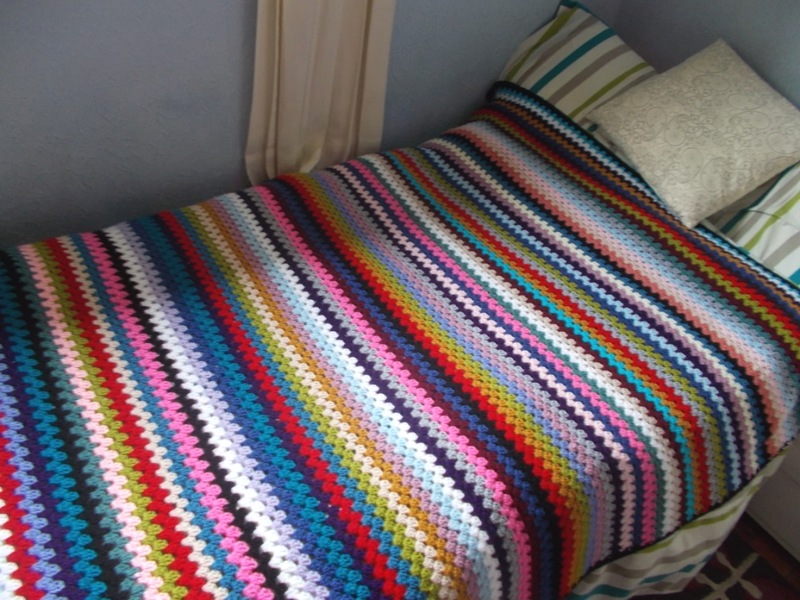 He had asked me to do a black edging on the blanket, so to finish it off I did two rounds of treble clusters in black all around the blanket. 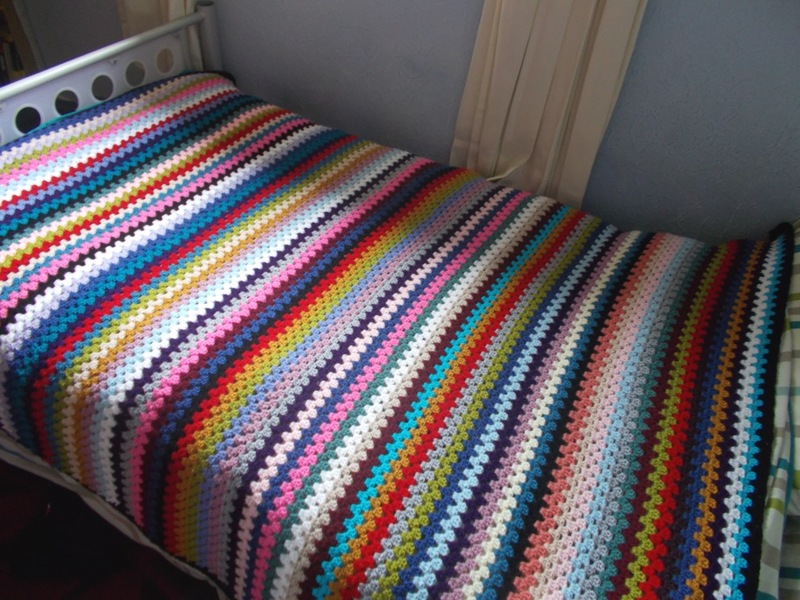 Really nice to get this one done, and put it on the bed! I hope you’ve enjoyed watching this grow with me, it has been a rather long-term project, but I am very happy with the result. I certainly learned this stitch inside out while making it so I’ve added a little bit more to my crochet know-how, and last night the blanket got its first sleep test drive! 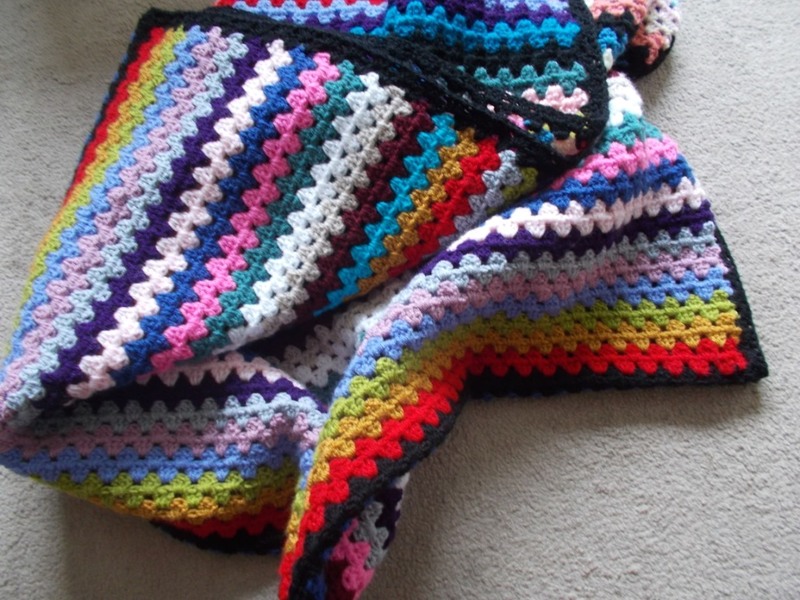 This blanket came to life thanks to the wonderful instructions provided by Lucy of Attic24 on her blog, which I’ve linked to below, and the encouragement of my lovely friend Barbara who suggested I try this pattern and has been commenting all along the way which has kept my motivation up! 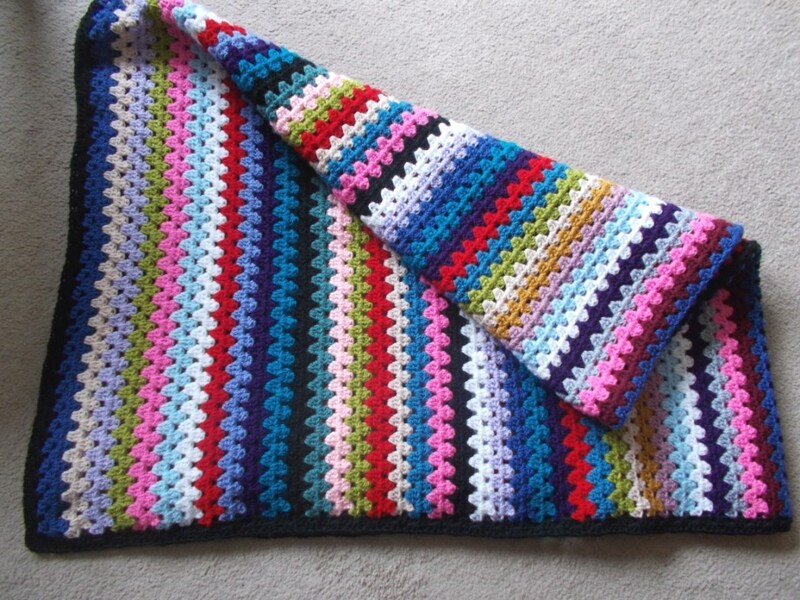 You can read more granny striping tips from Barbara in her Passionate about Granny Stripes guest posting.